Bathrooms come in all shapes and sizes—from expansive master suites to hallway half-baths and tiny studio baths. And though we at JR Luxury Bath know that all Cleveland bathrooms can be equally beautiful and practical, it’s no secret that smaller bathrooms require more a little more finesse. If you’re considering a small bathroom makeover in Cleveland, set yourself up for success by first considering the following important qualities. First and foremost, your bathroom layout will dictate what exactly you can do with your space. For example, some bathrooms are just too tiny to accommodate a bath of any kind, while others can fit a tub as long as its measured and placed well. Pro Tip: When remodeling your small bathroom, work with a company that provides custom fabrications, like we do at JR Luxury Bath. Custom-manufactured pieces can guarantee a fit where store-bought pieces often can’t. 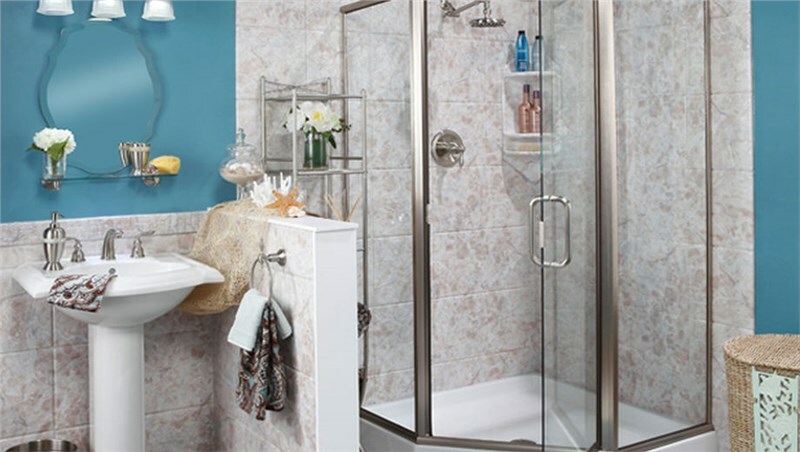 · If you’re interested in maximum bathing speed (or safe accessibility), a walk-in shower would work well. · If you primarily want to save space, then a neo-angle corner shower would be helpful. · If you want the option to bathe or shower, you could opt for a traditional tub-shower combo. In a small bathroom, you don’t have space to waste, so you need to make the most of every square inch. When thinking about your daily habits, also consider what you absolutely must have. Is it a well-lit vanity? Storage for personal care products? Extra space in the shower? If you aren’t sure what your “must-haves” are, try doing a search for “small bathroom remodeling ideas” to browse the many options available! Or you can always call JR Luxury Bath to hear about our many vanities, cabinets, and features designed for small bathrooms. If you’re short on time as well as space, then you should consider working with a team that can deliver big results without the need for heavy demolition or long days of labor. At JR Luxury Bath, we take remodeling efficiency to the next level with one-day bathroom remodeling Cleveland residents love. In as little as a single day, we make the most of limited space with our custom-manufactured, expertly designed features. 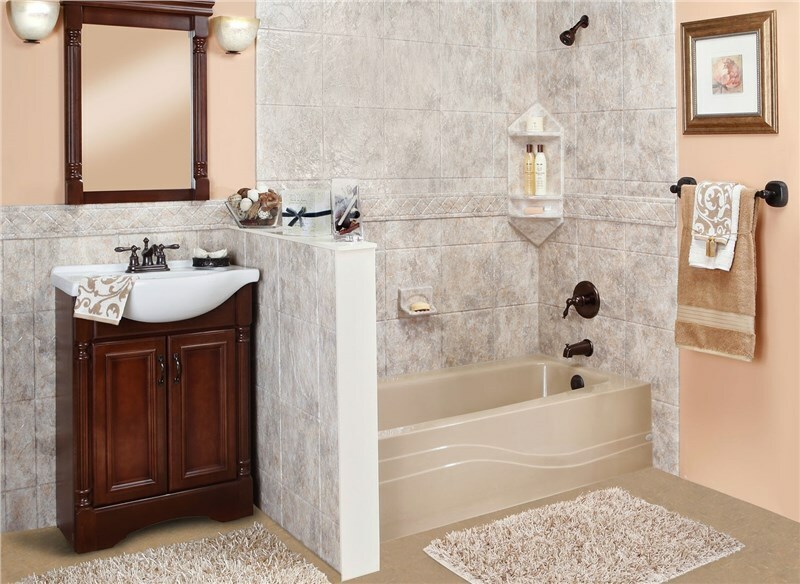 Learn More From the Bathroom Makeover Pros at JR Luxury Bath! 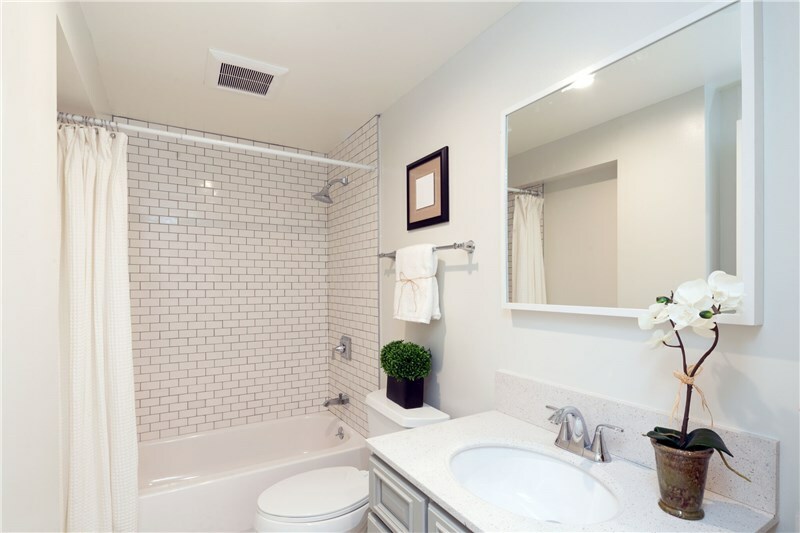 When it comes to remodeling, small bathroom spaces are some of the hardest to do well. And that’s why you need a team with proven service and expertise! At JR Luxury Bath, we’re simply the best option for small bath remodeling because we’ve been doing it since 1976. With custom-fitted features and single-day installations, we waste neither space nor time! Give us a call today to explore our many affordable, space-saving options for small bathroom remodeling in Cleveland, or request your free in-home design consultation by sending in our online form now!